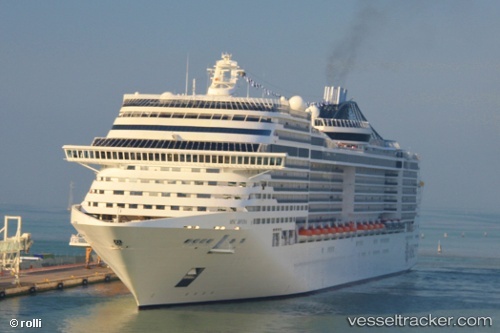 A girl was raped aboard the "MSC Divina" after she had departed Palma de Mallorca on April 10, 2019, and was only hours from Valencia, where she berthed on April 11, when a 17-year-old British passenger, who was traveling with her parents, allegedly was forced by an 18-year-old man into his cabin on board where he raped her. The girl escaped and told her parents, who reported the incident to crew members. After a police investigation, the man, who was identified as an Italian citizen, was arrested. However, he was later released after a judge in Valencia determined he did not have jurisdiction over the case because the alleged sexual assault would have occurred in international waters. The judge said it would be up to other governments — Panama, where the cruise ship is registered; Italy, where he lives; or the United Kingdom, where she lives — to investigate the incident. The "MSC Divina" has cancelled its Bermuda visit at Bermuda on March 15, 2018, because of bad weather. The cruise ship was scheduled to arrive at Heritage Wharf in Dockyard in the morning and depart in the evening. The ship arrived at the pilot station on schedule at 7 a.m. But the captain assessed the weather conditions and with the winds at the time, not less than 35 knots, decided for the safety of the vessel to cancel the call into Bermuda. The vessel continued its voyage onwards to the Azores. The strong southwesterly winds are expected to increase to occasional” gale force by March 16 before easing on March 16.